It’s no secret that mobile traffic continues to grow at a rapid pace while maintaining a lower conversion rate than desktop traffic. 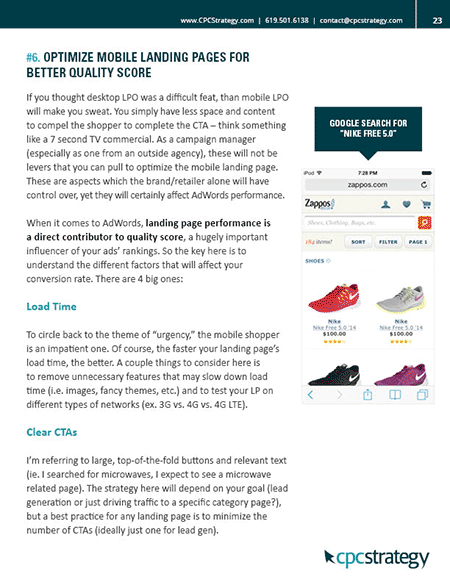 We’ve reached a point where mobile traffic can no longer be ignored and shut off completely, and so the big challenge for retail search advertisers is to capitalize on and convert this huge amount of traffic. 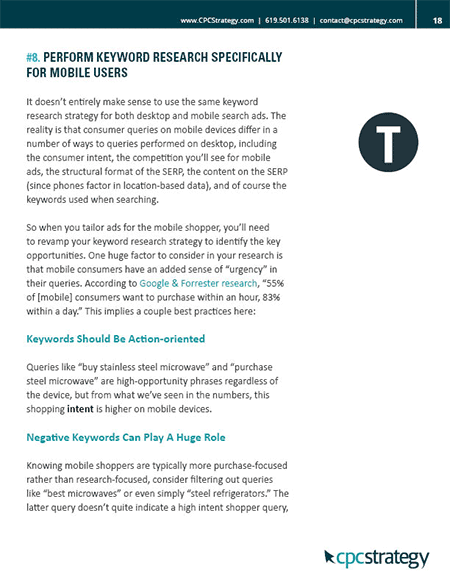 There’s a positive ROI to be had out of mobile traffic, so it’s important to identify the levers retail advertisers have to squeeze more profitability out of the traffic. 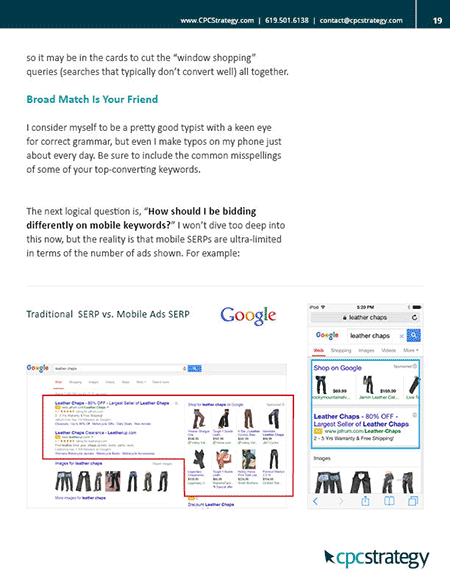 This practical guide dives into 10 key areas to focus on when optimizing AdWords campaigns for mobile traffic.